This level of peace, harmony, and positivity from Miso in Beyond Words is no less than a miraculous revelation. 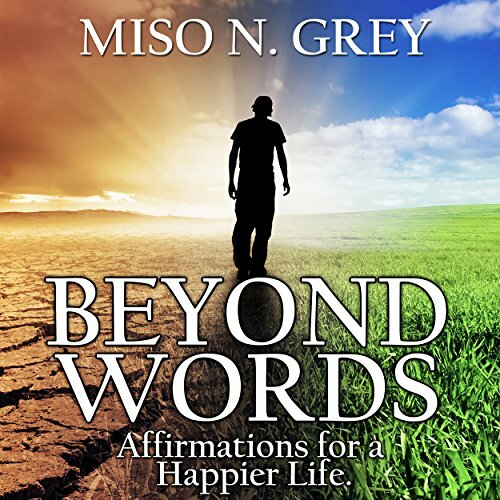 From paying it forward to words of encouragement, there is something in this audiobook guaranteed to enlighten you, too. Plus, there's a special narrator whose pleasant voice you may recognize. A hundred or so relationships, four weddings, and three daughters creates a fairly relevant study in which Miso has made considerable inferences about men, women, and relationships. The most important thing was Miso paying attention. I must admit, I was completely shocked to read this manuscript. Maybe shocked is too weak of a word. Floored, perhaps. Beyond Words is more than enlightening. It's beautiful. Have a glass of your favorite wine and listen to Miso's words with an open mind. You might learn something about happiness and fulfillment.